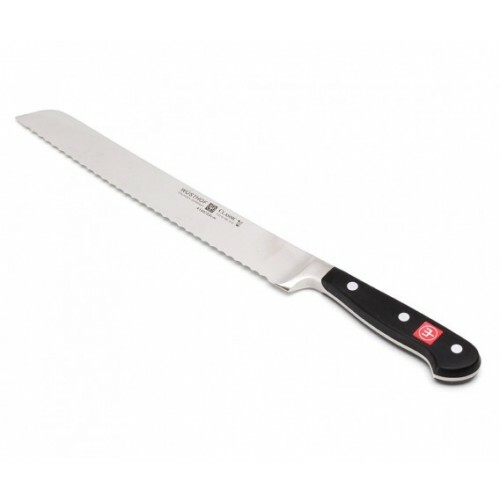 The CLASSIC 20cm Double Serrated Bread Knife has double the number of serrations or a serration within the serration. 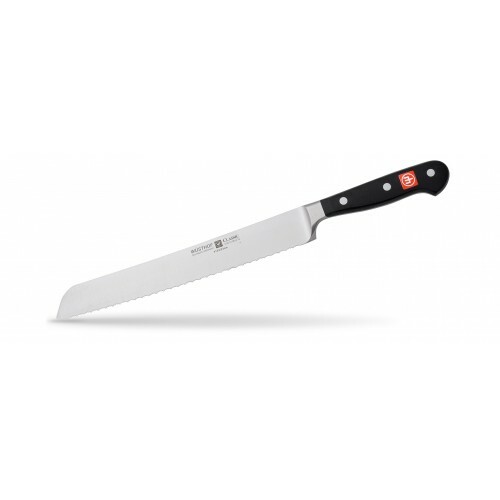 The design of the double serrated bread knife glides through crusty breads with minimal crumbs without damaging the inside. 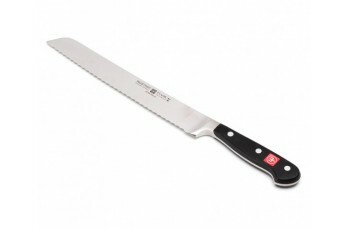 This knife can also be used on delicate produce like birthday cakes.